The Royal Navy's new toy, HMS Queen Elizabeth, will not join the fleet until 2020 but a significant theatrical vessel has just left port and has a berth on Broadway in the autumn. Sting's musical, The Last Ship, is nearing the end of an encouraging run at the Bank of America Theatre in Chicago. This is the try-out, the equivalent of the sea trials. Far better to get a show watertight than launch it on Broadway's rough seas where a shark-like critic can send it to the bottom, Titanic-style. That has been the costly fate of many a new musical, in Britain and the States. And while Chicago is hardly 'the sticks', it is some way from the New York street where theatrical success shines most brightly. Previews - that's another ploy to keep critics at bay until everything's running smoothly - will begin on September 30 at the Neil Simon Theatre on Broadway prior to the official opening night on October 26, according to producers Jeffrey Seller and Kathryn Schenker. 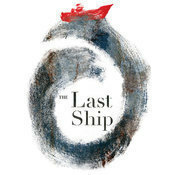 My first sight of The Last Ship was at an early try-out at Live Theatre in Newcastle. Sting had got some former North East shipyard workers in, along with some mates and a local journalist or two, to gauge reaction. There was no doubting his passion for the project. The Last Ship is also Sting's first musical and there's a lot of himself in it. The show is set in "the English seafaring town of Wallsend," as the Americans put it, and its protagonist is Gideon Fletcher who sets out to travel the world, leaving behind the girl who loves him. The producers' nutshell description of The Last Ship is "a portrait of a community so bound together by passion, faith and tradition, they'll stop at nothing to preserve the only life they've ever known". I wondered how the Americans would take to a tale set in Wallsend - even if the accents (bar Jimmy's) were all over the place. But it seems at least some of the newspapers have been kind. 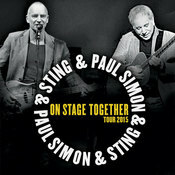 Chris Jones, writing in the Chicago Tribune, said the show, "a heartfelt and clearly sincere tribute to the men and women of the lost shipbuilding industry of North East England", proved that Sting's "formidably narrative songwriting skills" could transfer to the Broadway stage. He said the songs sometimes evoked the complexity of Kurt Weill and sometimes the hearty populism of Lionel Bart but "frequently and effectively, the blend of cool elusiveness and emotional honesty that justly made Sting world famous". Jones's reservation is with the character of Gideon. His theory is that Sting, not wishing to be immodest in creating a character based on himself, has made him "too much of a whiner and a jerk". Rachel was in the West End production of Wicked and a finalist on BBC talent series I'd Do Anything. Sting, whose album The Last Ship came out last autumn to herald the forthcoming show, told me he had been learning the hard way about the creation of musical theatre, cutting songs that didn't take the story forward and bowing to the experience of director Joe Mantello who has a string of Tony awards and nominations. If The Last Ship works on Broadway, there's a chance it will find its way to London's West End and then maybe to the North East on a UK tour. That would be quite a voyage - and just imagine the reception it would get in the North East! Can you advise if The Last Ship musical is coming to the uk?